Inspired by my friend Kerry who makes these for her daughter ALL the time! – I finally got over my fear of crêpe perfection and dove in. And these are so simple – who knew? I combined all of the advice from Kerry with a recipe from ‘Crêpes’, by Martha Holmberg, and while I’m sure browning the butter isn’t necessary, I have never experienced a recipe that wasn’t improved with browned butter goodness. 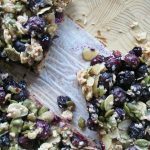 Enjoy as it, filled with absolutely anything, or take an hour or 2 to make a stack for your freezer as Martha suggests (put a bit of parchment between each). 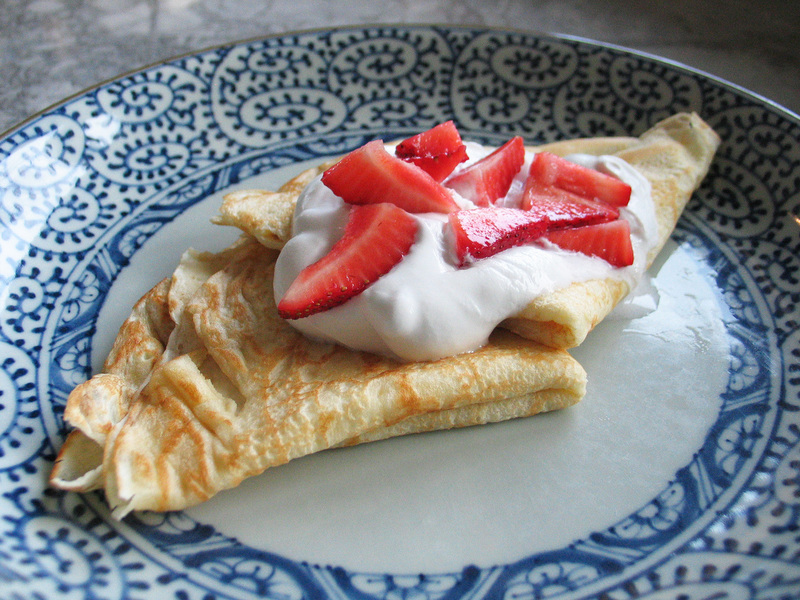 These crêpes will make your day! – enjoy! Blend for 10 more seconds and then check the consistency – you want the batter to be slightly thick like cream, but not nearly as thick as pancake batter. Transfer the batter to a large measuring cup or a handy bowl with a spout, then allow it to rest for about 5 minutes. Heat up your favorite non-stick skillet over medium-high heat, add a titch of butter and swirl it around, then pour about a 1/4 cup of batter into the center of the pan. Immediately lift the pan the swirl the batter around to cover as much area as possible – your first couple may come out an odd shape, but don’t worry, you’ll get the hang of it! Cook the crêpe until the edges begin to dry and lift, about 1 minute, then use a spatula to quickly lift and flip the crêpe over (I actually mostly just used my fingers). Once the crêpe is flipped, it should only need to cook for about 20 more seconds. The first side is always much prettier, and again, keep practicing and you’ll have stacks of uniform crêpes in no time. Slide the cooked crêpe onto a waiting plate or rack and keep cooking until your batter is gone – you may, or may not need butter between every new crêpe. Check the web for a variety of folding techniques, and then enjoy as you wish – the girls loved theirs with strawberries and coconut cream!